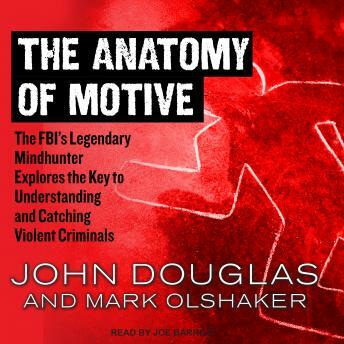 In this eagerly anticipated book from the internationally bestselling authors of Mindhunter, Journey into Darkness, and Obsession, legendary crime fighter John Douglas explores the root of all crime-motive. Every crime is a mystery story with a motive at its heart. Understand the motive and you can solve the mystery. The Anatomy of Motive offers a dramatic, insightful look at the development and evolution of the criminal mind. The famed former chief of the FBI's Investigative Support Unit, Douglas was the pioneer of modern behavioral profiling of serial criminals. Working again with acclaimed novelist, journalist, and filmmaker Mark Olshaker, and using cases from his own fabled career as examples, Douglas takes us further than ever before into the dark corners of the minds of arsonists, hijackers, bombers, poisoners, serial and spree killers, and mass murderers.